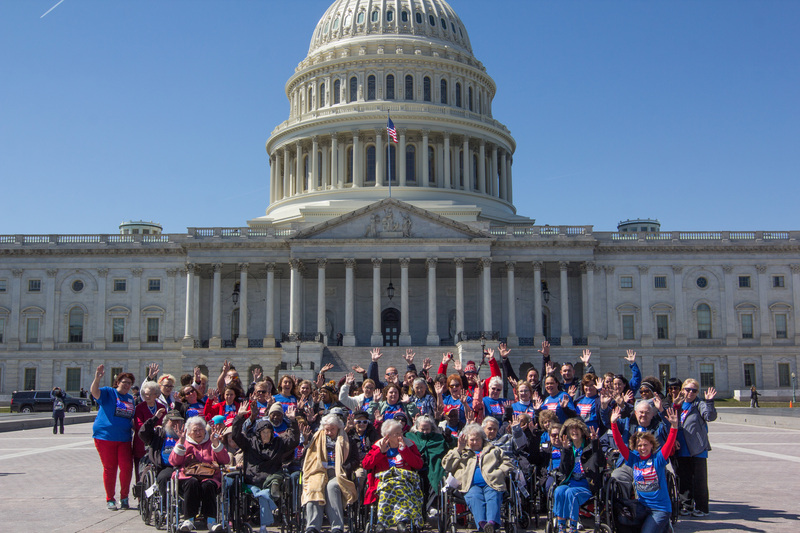 Adventure comes in all shapes and sizes and this week it is in the form of a Washington D.C. vacation for 63 Elders and Stakeholders of Signature HealthCARE. The teams comprised of individuals from Kentucky, North Carolina, and Florida set off to learn more about our nation’s history by spending the week in Washington D.C. The cold weather didn’t dampen the group’s spirits any as they set off to get their picture made in front of The White House. This famous structure that so many first families have called home was one of the first things the Elders wanted to check of their “must see” list! Of course, this excursion set us up for an evening of talk about Presidents and their wives and reminiscing in the best ways with our Elders about historical events that have shaped our country! Monday morning’s highlight was a tour of the Capitol Building. When the buses dropped us off on Capitol Hill you could hear the excitement coming from every person! Not many had ever traveled to Washington D.C. and none had toured the Capitol Building. The Elders enjoyed visiting the Rotunda and learning so many facts! The painting of George Washington on the ceiling spoke deeply to everyone’s hearts as we remembered the values of freedom and liberty for all our country was founded upon. After our morning tour, everyone was off for a free afternoon. 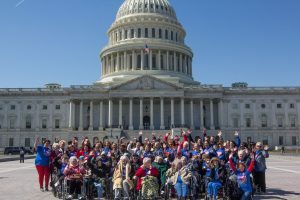 Some went to the National Air and Space Museum, some visited other museums in the area, and a few opted to just sit outside in the sun at National Mall and take in the excitement of being part of the D.C. action! The evening wrapped up at Carmine’s for a classic family style Italian meal. This was the perfect way to celebrate Ms Shirley’s birthday, who couldn’t believe her luck as to be traveling on her birthday to D.C! I was always keenly aware of the patriotism of our Elders. Over the past 22 years of working in healthcare they have always shared their love for the values of our country with me. Their faces reminded me of the dedication it will take to preserve our individual freedoms. Sounds like you and elders are having a blast in Dc. Your elders at Glasgow cannot thank you guys enough for all the care and attention they received while on this trip. You guys are awesome and we will forever hold dear the memories we share.